So I'm guessing that I can't be the only one here who likes to mess with servers so I thought I'd start a homelab thread. Currently running 2 Gen8 HP Microservers. Left runs FreeNAS with 4 3TB WD Reds in ZFS RAIDz1. Transmission runs out of a jail. Right runs Proxmox VE with 5 VM's currently. The buffalo was supposed to be for local backups but turned out to cause more problems than it solved so is currently off and empty until I figure out what to do with it. I have a Rasp Pi 1b and 2 but haven't found a purpose for either yet. RAM and CPU in the Hypervisor need an upgrade and I want to switch to mirrored SSDs for the VM storage. Long term plans when I get my own place are to go rackmount but that's a ways off yet. I would love to have a cheap server at home but would have no idea were to start lol, us old farts just plod along. You don't necessarily need server grade hardware although currently the Dell PowerEdge T20 and Lenovo TS140 can both be had for under £200. The Dell can actually be had new for £140 with £70 cash back leaving you with a £70 server to play with. An old PC does the trick unless you need some server grade features. Personally I like to have out of band management and ECC memory but it's certainly not a requirement. Throw something like Ubuntu server edition on an older PC and go nuts! So I thought I'd try to revive this thread with a big update. Since the last post I've moved to a vlan setup and put the superhub in modem mode. 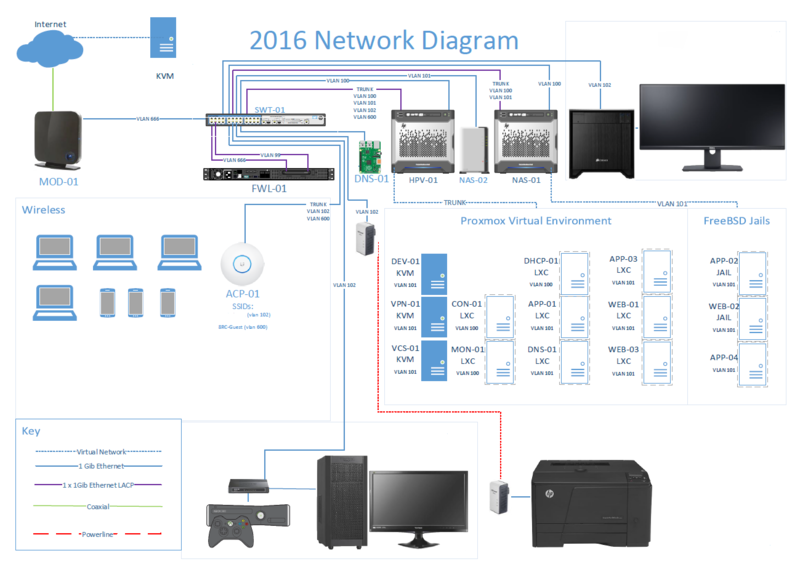 The Layer 3 inter-vlan routing is done by the switch, a HP v1910-24G. I've built a custom JBOD expansion enclosure for the NAS using an LSI 9201-8e, a JBOD power controller and some sas cables and adaptors. NAS-01 is now at 24TB RAW ~16TiB usable. Firewalling, NAT and primary DNS is done by a 1U supermicro server running pfSense. I also have a Raspberry Pi for failover DNS. 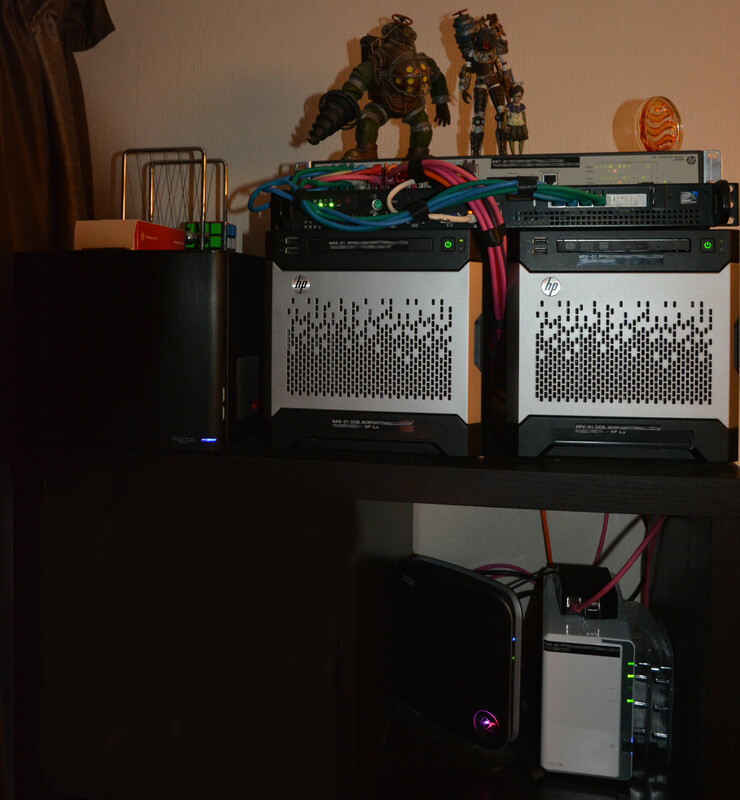 I replaced the Buffalo NAS with a Synology for backups and wireless is taken care of with a Ubiquity UAP-AC-LITE. The Proxmox server has been switched from spinny disks to ZFS SSD storage and CPU/Memory has been upgraded all around. Build replacement NAS with 24 Bay chassis and expand to ~40TiB usable w/ FreeNAS 10. Re-purpose current Gen8 NAS Server as second Proxmox server with clustering. Add UPS protection with NUT server for automated shutdown. Get a second VPS with good storage and bandwidth for NextCloud. So... What exactly do you use all that for? As in, why have you added the vlaning in a home environment? And what do you need all that space for? That does seem to be commercial setup to me. What are you running through it to warrant a robust setup like that? I have a few services port forwarded and exposed to the internet so I wanted to implement some network segregation for additional security. 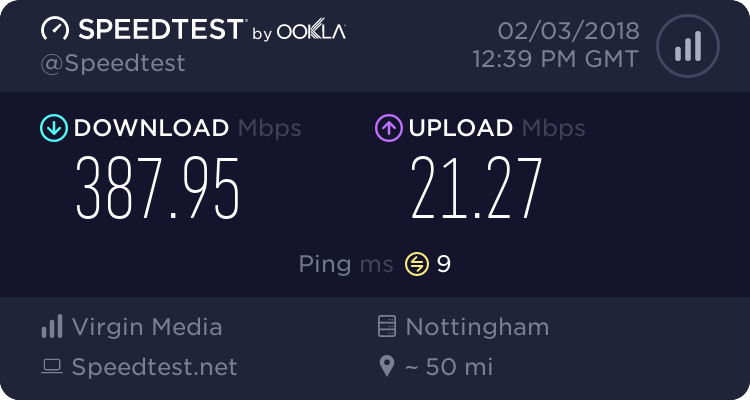 I've been able to implement all of this fairly cheaply (Switch was ~£60, firewall was sub $200) and it's been a huge learning experience. I mainly work with servers in corporate environments but I've never really got involved in the networking side of things. It's an area I'm teaching myself in and I've found that having a home network like this to test things in has been invaluable. I mostly work with Cisco gear and I wanted to make sure that my knowledge and understanding of networking was vendor agnostic. See above. It's mostly for learning and also just because I can. Very nice and clean. 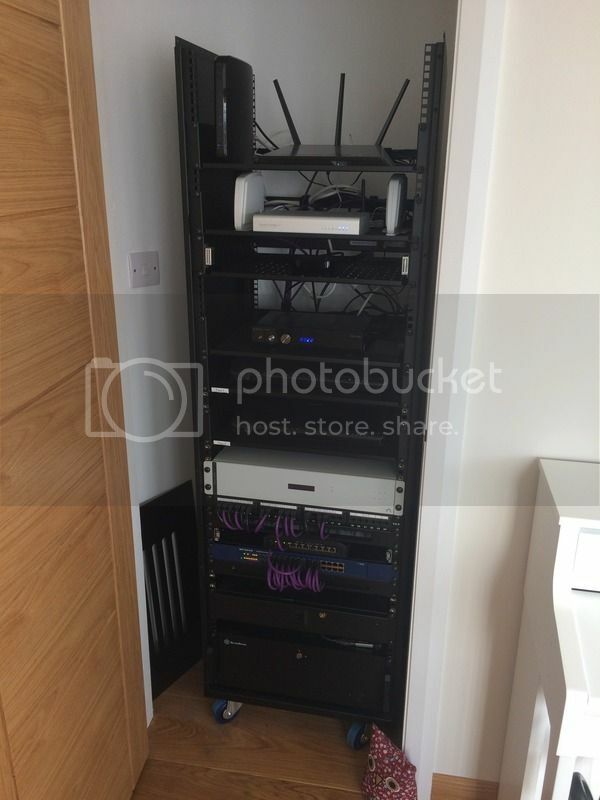 I have been considering rackmounting my gear but I don't have the cupboard space at the moment. My homelab mostly sits in the cloud. 1000W of equipment would roughly cost £100 a month to keep running 24x7. At current average prices, 1000W 24/7 would cost you a fair bit extra. Last edited by Bing; 24-03-17, 19:02. At 12p per KWh (average for domestic supply), 1W roughly = £1 a year if on 24x7. put 1000W in for 24 hours and see the daily cost. That's an average of current tariffs, not including standing charges.